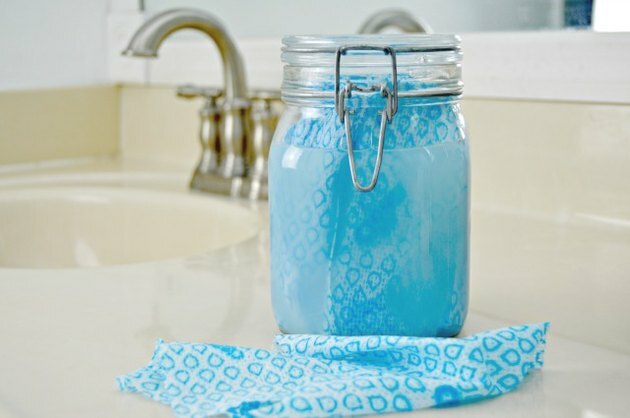 Bathrooms can get pretty dirty, and store bought bathroom cleaning wipes are usually full of chemicals. 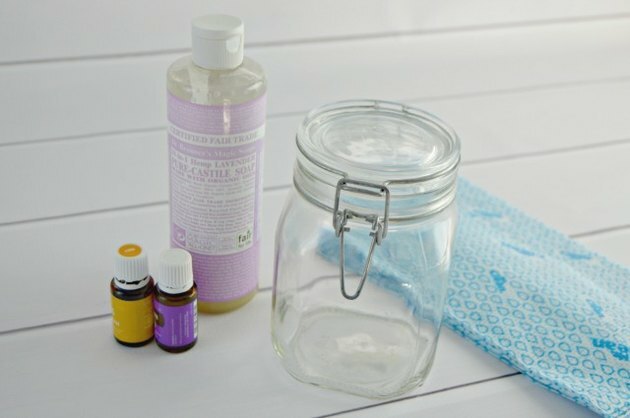 These DIY bathroom cleaning wipes are simple to make with a few household ingredients and are chemical free, too. 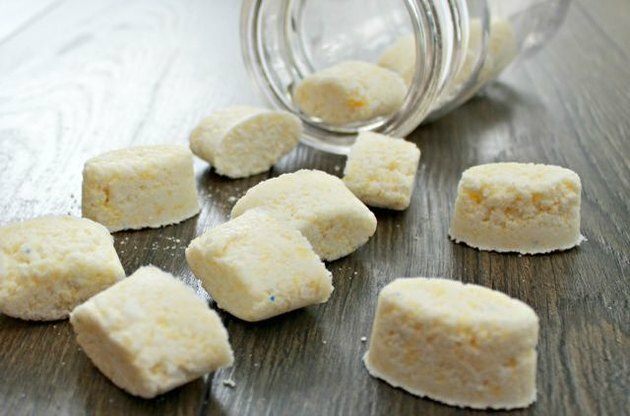 You can reuse the cloths and make a new batch once you've used all of them as well, which is not only good for the environment, but also great for your budget. 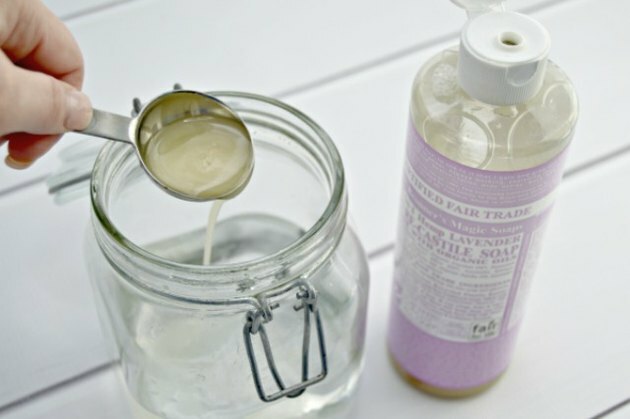 Add half of the warm water to your container. 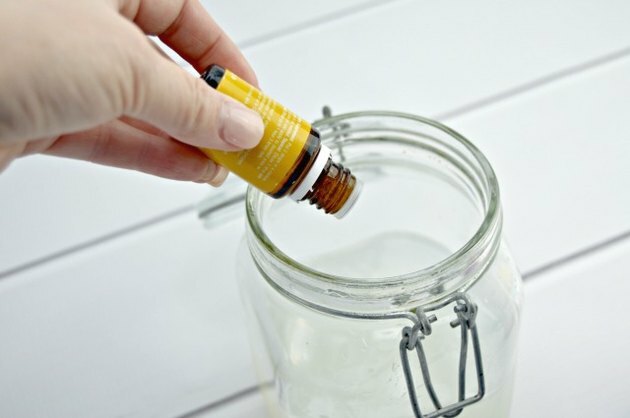 Add 10 drops each of lemon essential oil and lavender essential oil. 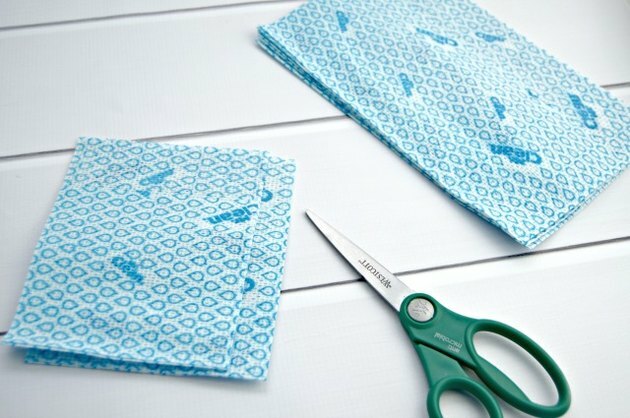 Cut each of the reusable cloth wipes in half. You should have 12 cloths once they have been cut in half. Roll each cloth up and place upright in the container. 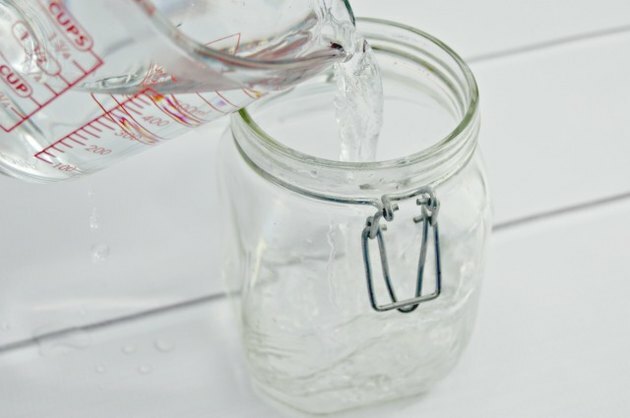 Add the rest of the water and give the container a shake. 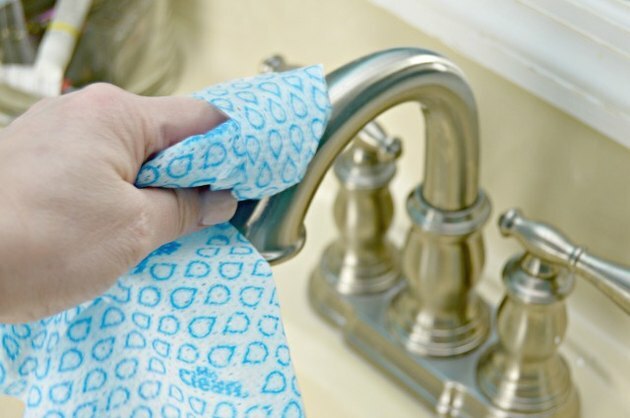 These DIY bathroom cleaning cloths can be used over and over again. 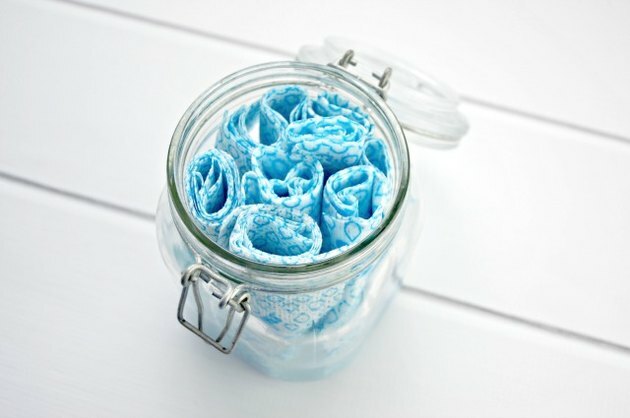 Simply toss the used wipes in with your laundry. They are washer and dryer safe. 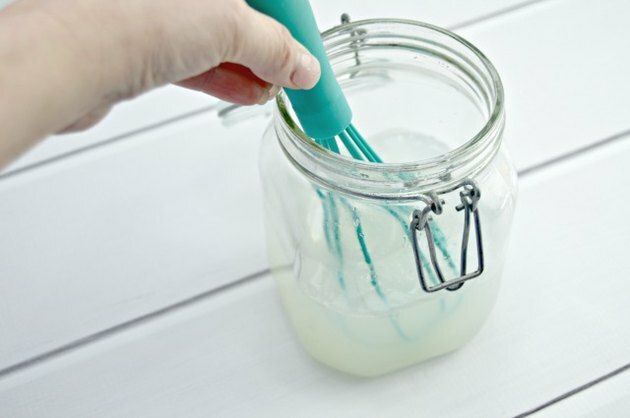 Once clean, you can add them back into your jar of cleaning solution and use until the solution is gone, then just make new solution using the recipe above. Jessica owns two blogs, Mom 4 Real and Pour Me a Cocktail. 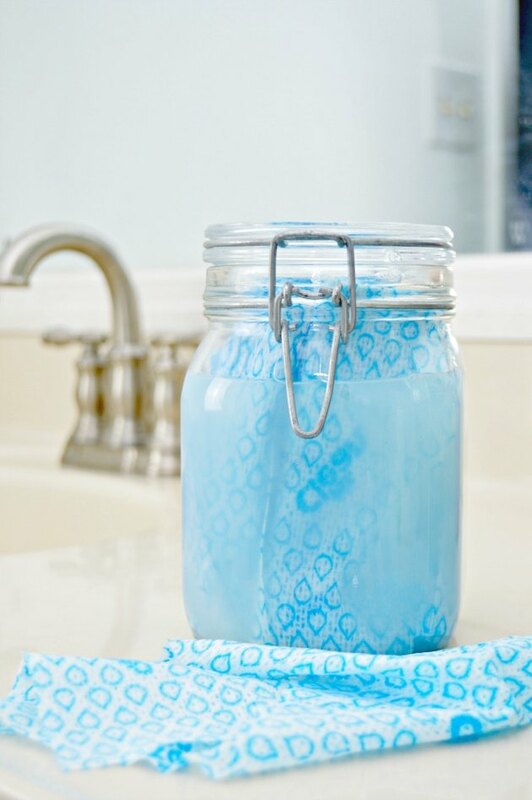 She has been sharing easy cleaning tips, recipes and ideas with her readers for over 7 years. She has been featured on the Rachel Ray Show, TODAY Parenting, MSN, Country Woman Magazine and more.